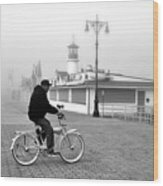 There are no comments for Schwinn And Sinatra. Click here to post the first comment. 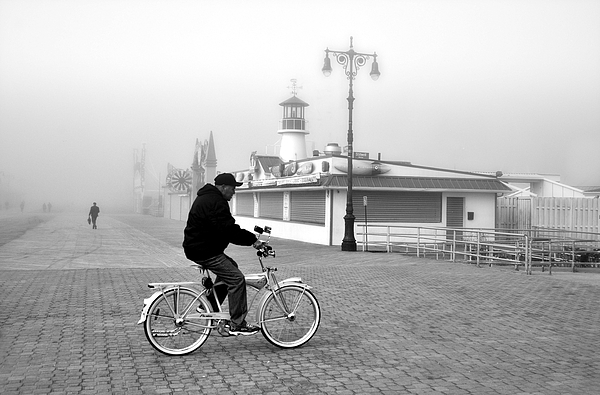 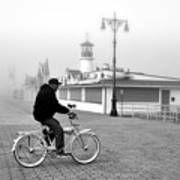 A cyclist takes advantage of the early spring weather on Brooklyn's Coney Island boardwalk with his 1950's Schwinn while listening to Sinatra.